Armed with data-driven tools for restaurant operators, Delaget has a great service to offer its customers. They had big plans to grow their business and needed strategic advertising. 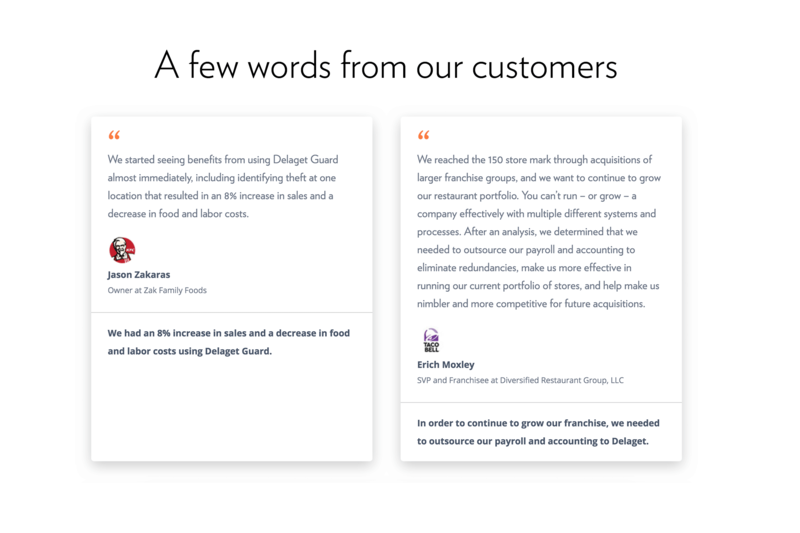 With a service that has longer closing cycles, and few clear keyword sets that will ensure relevant traffic, we struggled to find simple ways to grow conversions for Delaget. They had strong sales and a great support staff, but the advertising being done was not reaching their target customer. 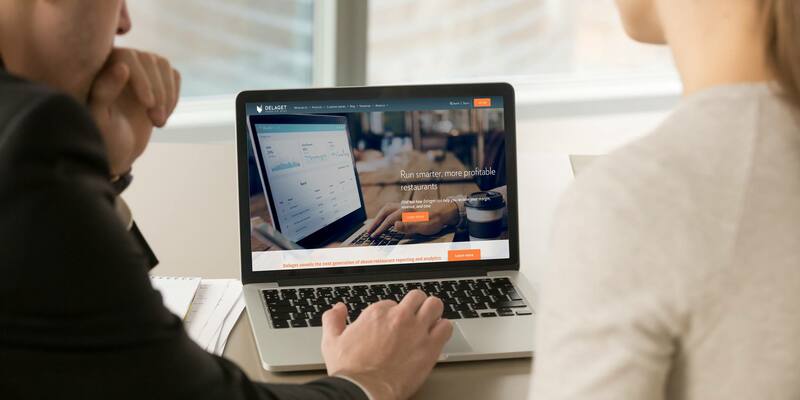 This project was highly collaborative, and by working with their in-house staff that had been managing AdWords, we realized pretty early on in the engagement that we needed to test other channels and revise the current AdWords structure. Some of the main selling points for Delaget’s services (saving restaurants money, identifying points of loss and increasing efficiency) really needed to be brought to the front of their advertising; however it’s hard to emphasize this completely within a text ad. Because of this challenge, we started to grow their reach and conduct tests for effectiveness. After spending months creating new campaigns, testing, optimizing and measuring within AdWords, we found a mix that worked. Using high-quality image ads to show the product in use in Google’s Display Network, PPC ads and Facebook Ads, we started to see real measurable growth. Within weeks of beginning our new advertising strategy, we heard they had set a meeting with a very important client on their wish list and it was clearly a direct result of our combined digital efforts. By using highly-targeted Facebook Ads, we developed a strategy to provide incredibly educational content to their target audience based on demographics. Delaget does a great job at retaining clients because their services are highly useful. Finding the right way to convey that in advertising made this a huge success. Creating the right mixture of paid digital channels is something we specialize in, need a hand?